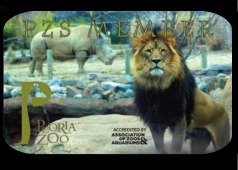 To make the best of each Zoo visit, remember to always have your membership card and photo ID on hand for entrance to the Zoo. As a member, it is more likely that you will stop by for a quick visit towards the end of the day. Remember that the last admission is at 4:30pm. Want to beat the crowd and catch a special glimpse of the Zoo early in the morning? 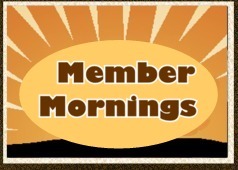 Then join us for our monthly Member Mornings! Peoria Zoo Members can enter the Zoo an hour early at 9:00 am to see the animals as they venture out into their exhibits for the day. Time: 9:00-10:00 am (gates open to public at 10:00 am). Add your picture to your Membership Profile! 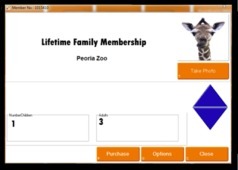 Peoria Zoo members can now add their photograph to their membership profile for a faster check-in process! Upcoming photograph opportunities are listed on the PDF below. If you cannot make a photograph time, you can send in a picture. Information about that is also located on the PDF. Members are always required to bring their membership card for entrance. If you have your photo in our system, a photo ID will no longer be required. Do you shop at Schnucks? 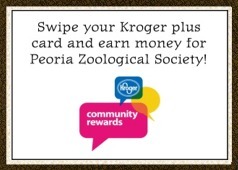 If so, you can help support the Zoo! Schnucks will make a contribution to PZS for a portion all your purchases year-round! It is free to sign up and doesn't cost you anything. 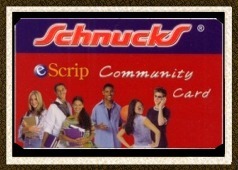 Please note, you cannot use both your eScrip card AND your personal rewards card. To sign up or for more information, contact PZS at 309-681-3500 or pzs@peoriaparks.org. For any questions concerning membership, please contact the Membership Office using our contact form or call at (309)681-3500.